• Titanium crown and titanium body for increased ball speed and overall performance. 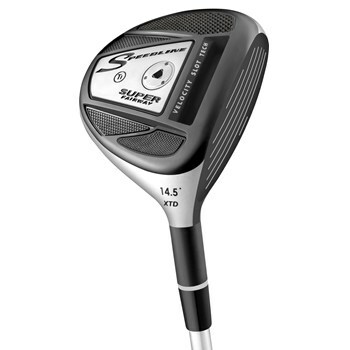 • 36 percent higher ball speed vs a standard fairway wood, and 14 percent higher than the Speedline Fast 12 fairway wood. • Milled tungsten heel and toe weighting for the lowest CG. • Titanium Velocity Slots increase ball speed and launch angle while having less spin. • Tour inspired sole shape to improve turf interaction.